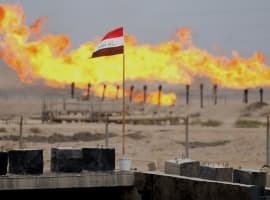 The global oil market could slip into deeper oversupply on the back of non-OPEC production growth led by the United States, the International Energy Agency said in its latest Oil Market Report. Commenting on the recent reversal in oil prices, the authority attributed it to profit-taking and a market correction spanning all industries, adding that oil’s fundamentals supported a decline in prices. The situation in the United States suggests that history is repeating itself and what we are seeing now is indeed a second shale revolution that could bring petroleum liquids production on par with global demand growth. But that’s not all. The IEA noted the recent shipment of the first U.S. condensate cargo to the UAE, which although unique might prove to be the start of a new era in international oil trading patterns. The authority hinted that the end of the OPEC deal could be in sight given that the overhang in OECD oil inventories has shrunk to just 52 million barrels from 264 million barrels a year ago, but added that the trend in oil prices could convince the cartel to wait. Separately, the IEA maintained its 2017 oil demand growth estimate at 1.6 million bpd and said this year demand will grow by 1.4 million bpd, a 100,000-bpd upward revision on the January OMR estimate thanks to IMF’s expectations of stronger economic growth this year. The International Energy Agency (IEA) is in cahoots with the US Energy Information Administration (EIA) in falsifying if not exaggerating information about US oil production (particularly shale oil) with the intention of arresting the surge in oil prices. 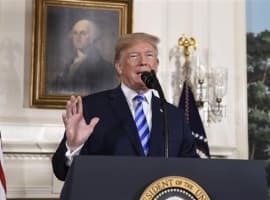 They both credit US shale oil production with causing the glut which has bedevilled the global oil market since 2014 forgetting that it was Saudi-led OPEC that caused the glut by overproducing more than 2 million barrels a day (mbd) above their production quotas. 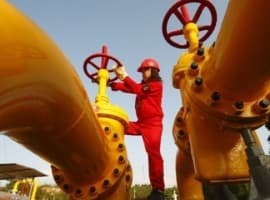 The global oil market has rebalanced far sooner than was expected and falsified claims about rising US oil production and US oil inventories will not create a new glut since the oil market no longer believes these claims. Claims by the EIA and IEA about US oil production projected to reach 11 mbd by the end of this year and that the United States will overtake Saudi Arabia and Russia to become the world’s largest oil producer by the end of this year are no more than wishful thinking if not straight falsifications. Both the respected Post Carbon Institute and MIT and other organizations reached the conclusion that the US government is deliberately overstating US oil production and the potential of the shale oil industry. Even the EIA has admitted in response to questions that some of its forecasts are on shaky ground. The IEA is trying to mislead the market by claiming that the first US condensate shipment to the UAE might prove to be the start of a new era in international oil trading patterns. Nothing is further from the truth. Until 2017, the UAE relied on Qatar for its condensate supply. But the UAE decided in June last year to ban all petroleum imports from Qatar because two countries are embroiled in a political dispute. When the dispute is eventually settled, the UAE will most probably resume its petroleum imports from Qatar. Excess oil production from the US due to rapid productivity growth and to a lesser extent, expanding rig counts is a concern. I think it's worth highlighting that the same report quoted in this article predicted a global crude market in deficit in 2018, and in particular the last three quarters of the year. Q1 is when we build stocks in the US and globally before drawing down during driving season. Often news and price action reflects this seasonal. I'd encourage people to google (crude oil seasonal). MGS: Pretty reckless accusations. Provide proof IF you dare. Ah yes he of writing polemics about the economic viability of shale oil some 20 years ago and of course the inevitability of a 3rd oil oil crisis. Got it now. Sheesh..